There are loads of ways to get involved with ActionAid to help women and girls around the world. Find the event or fundraising activity for you! Help build a support centre for girls who have experienced violence. There are loads of different challenge events you can take part in to support ActionAid. You can filter by event type using the categories below, or see all our events. Join us for this 20-obstacle mud run. You won’t just face your fears — you’ll knock them down! Giant slides, bouncy castles, foam… this is an obstacle course with a difference! Tackle one of the greatest cycling challenges in Europe – from one iconic capital to another. Run, swim and cycle your way around London’s Docklands in the world’s biggest triathlon. Join us for RideLondon: London’s best 100-mile closed road cycling event. Escape the city on this beautiful riverside route. Get on your bike for a capital ride to the coast. Don your wetsuit and make waves for ActionAid. An iconic run through the Welsh capital. Belt up your Santa suit for a fun festive run! Join us for a trip of a lifetime to see our work first-hand and help change the lives of women and girls across the world. 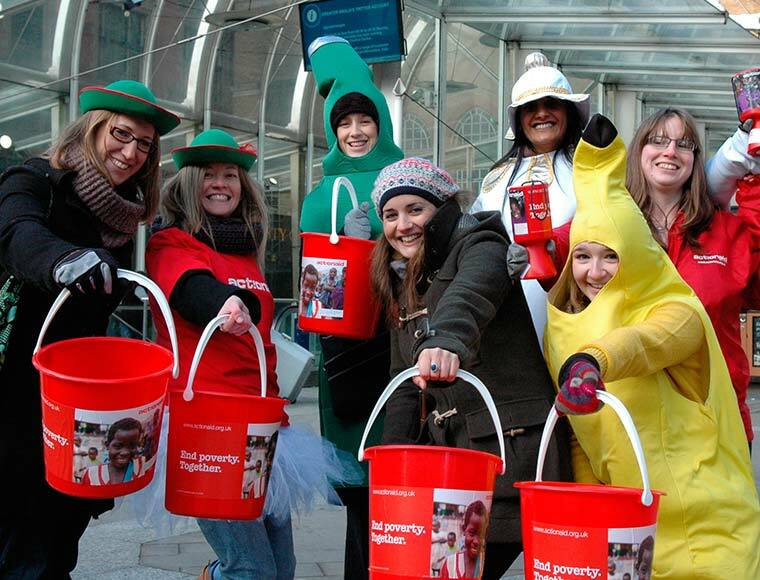 Sign up to ActionAid’s school fundraiser and take part in a dress up day with a difference. Let us know what you’re up to so we can give you any support you might need. Get together with people in your community to make a huge difference to the lives of women and girls living in poverty. From university halls to tube stations, sign up to hold a collection and and we’ll send you everything you need. Need some inspiration? From cake sales to craft fairs, check out our top fundraising ideas. Get all the free materials you need to make your fundraiser a success. Check out some of our favourite fundraising ideas, and get tips and advice on how to plan a great fundraising event. Give a gift that will last a lifetime when you celebrate your birthday, wedding or other special occasion with ActionAid, by asking for donations in place of gifts. Please help our emergency response by taking part in a fundraising event. 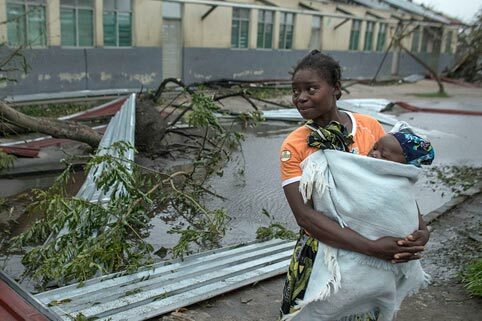 The money you raise will help provide essential supplies to those who have lost everything in the disaster. Check out our top tips and ideas on how to reach your fundraising target. Thank you so much for your support — you are changing lives, for good.